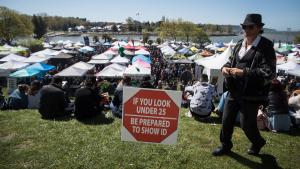 A Metro Vancouver company will be working on a world-first effort to turn cannabis and food waste into drinking water. Metro Vancouver’s Micron Waste Technologies and Federal Public Services and Procurement Minister Carla Qualtrough introduced the Cannavore and Organivore digesters in Delta on Monday. "We developed this digester for organic waste that works like no other technology in the world," Aurora Cannabis' chief corporate officer Cam Battley said. "It takes food waste or cannabis waste, processes it in about 24 hours and the product that comes out the other end is water that is clean enough to drink. This is a cleaner, greener more economical means of dealing with food or cannabis waste." Battley also added that the whole concept at the beginning was to move the digester to the place that is needed, such as a food facility or a cannabis facility, so to cut down on trucking and the generation of greenhouse gases. "Climate change is real and must be addressed not just through our words but through our actions," Federal Public Services and Procurement Minister Carla Qualtrough told the press conference. "Micron is taking an active position to help improve the environmental foot print of large scale organic waste producers." 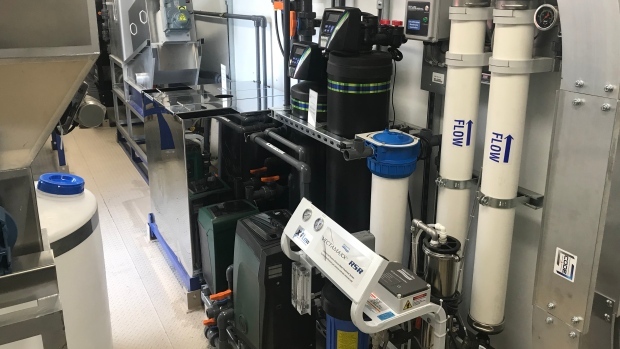 Micron Waste is hoping the Cannavore and Organivore waste units will be ready for commercial use by the end of 2019. They would not say what the cost of the units would be at this time.